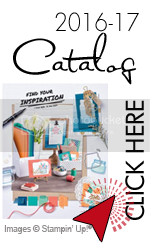 Stampin’ Up Weekly Deals & Monthly Specials! Categories: Specials	| Comments Off on Stampin’ Up Weekly Deals & Monthly Specials! New Stampin’ Up Holiday Supplement, Weekly Deals, & Monthly Specials! Categories: Specials	| Comments Off on New Stampin’ Up Holiday Supplement, Weekly Deals, & Monthly Specials!